A bed with an imposing yet understated design, the Broome Bed from Modloft remains a top choice in both contemporary and traditional bedrooms, and perhaps for good reason. This bed requires no box spring and features angled brushed stainless steel legs that deliver outstanding support. Also, the bed is available in multiple sizes, and the bed's panels feature a mitred joint separated by a sleek steel insert. Check out a first-rate bed that will serve you well for an extended period of time � the Broome Bed. Does not require a box spring. Boasts a platform height that measures 16 inches. Includes a solid pine platform with air ventilation to help provide you with cleaner, healthier sleep. 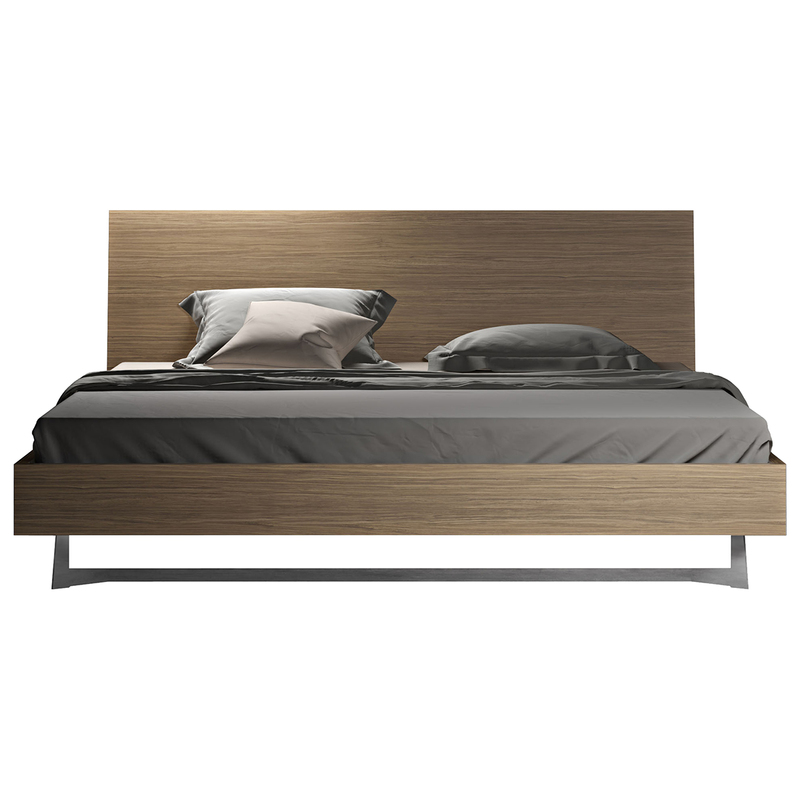 Bed panels include a mitred joint separated by a sleek steel insert. Supported by angled brushed stainless steel legs. This bed is made using a Walnut Veneer over MDF.